Heritage Sandy Springs (HSS) is a community non-profit organization that hosts numerous free and low-cost events throughout the year, from outdoor concerts and festivals to a Farmers Market and more. In the spring of 2017, HSS began looking for other activities that would increase participation and enrichment. At that time, there were not any local guided hikes or an official “recreation club” in Sandy Springs. This concept was not only intriguing to those involved with the organization, but it was a perfect fit with existing community initiatives at Heritage Sandy Springs. Furthermore, a very dedicated volunteer was willing to take the lead on this new program. So, in June of 2017, the Heritage Sandy Springs Outdoors Club (HSSOC) officially launched. Not only does the HSSOC provide free membership, but also complimentary guide-led hikes in our 16 city parks. 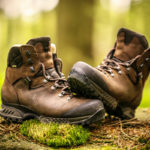 These hikes and activities are available to people of all ages and walks of life. We even allow pets! Since June, the Outdoors Club has met weekly on Friday evenings and Saturday mornings to explore and appreciate the nature around us. 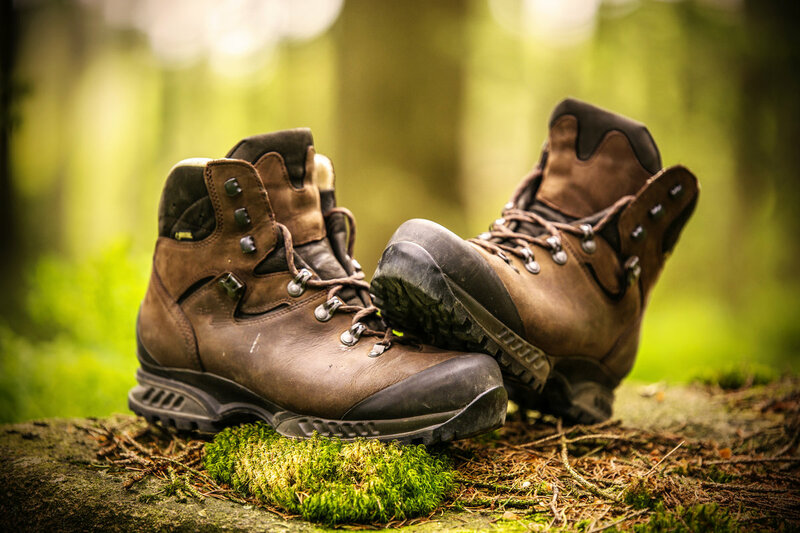 The HSSOC is an excellent way to visit beautiful parks and trails in the area while meeting other outdoor enthusiasts. The club continues to grow each week as they reach more and more people through word of mouth and social media. 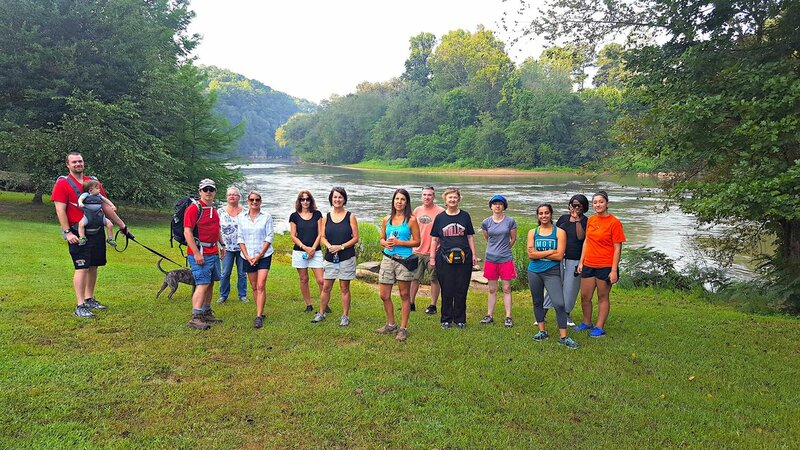 Information about weekly hikes can be found on the Heritage Sandy Springs website (HeritageSandySprings.org) as well as Meetup and a private group on Facebook (@hssoutdoorsclub). 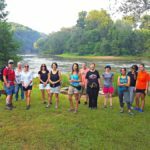 In addition to the regularly-scheduled weekly treks, the club also gathers for social events, day trips to mountain trails, and special holiday hikes. The group had a great time walking with ghosts on Halloween and burning some pre-turkey calories on Thanksgiving morning. More recently, the club took an extended 10-mile tour of the Beltline to cover Oakland Cemetery, Krog Street Market, Ponce City Market, and Piedmont Park. Each week they add new members as the group continues to explore more of Sandy Springs’ nature trails. While the club did not kick off until mid-year in 2017, they have a full schedule planned for all of 2018! HSSOC expects this year’s efforts to reach even more outdoor adventurers and they are excited to grow. Their plans include expanding not only the club itself, but also activities. They’ll venture into Roswell and other surrounding areas from time to time – including Vickery Creek, Sope Creek, and West Palisades – and hope to add a paddling event or two. Regardless, there are a lot of fun outdoor adventures on the horizon for the Heritage Sandy Springs Outdoors Club this year!